Administrators at the University of North Alabama (UNA) are considering changing the long-standing name of its marching band after questions were raised this semester about its appropriateness, given the name’s link to the Confederacy. Many UNA alumni and students say the band’s name, “Pride of Dixie,” is offensive and racist because of its historical ties to the pro-slavery South during the Civil War-era. Others reject that view, arguing that the term “Dixie” is no more than a historical marker for the South and not a symbol of hatred. After UNA’s Sept. 8 football game against Alabama A&M University—a historically Black college and university (HBCU) the university responded to the growing criticism by forming a 20-member advisory panel comprised of alumni, students, staff, faculty and even local high school band directors who once attended the university. That panel met for the first time last Wednesday and was given eight weeks to complete a study and present a proposal about the name to the school’s leadership. 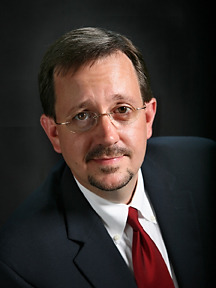 In an interview with Diverse, Dr. Ross C. Alexander, Vice President for academic affairs and Provost said that an administrative decision was made to not use the, “Pride of Dixie,” or its acronym, “POD” at last month’s football game out of respect for Alabama A&M’s mission and history as a HBCU, adding that no one at A&M asked them to omit using the name. “They (A&M) have been very, very good collaborators and partners with us in the past and we saw it as a way to offer a measure of respect and also engender a larger dialogue on this issue,” Alexander said. Nick Watts, a baritone player in the UNA band who is a senior, said band members were told to cover up the “POD,” on their uniforms just before the game with A&M. Handy, who is Black, is from Florence and was on A&M’s faculty. UNA alum Shalayla Cole said not announcing the name at the game probably made the debate around it worse. According to the band’s director, Dr. Lloyd Jones, who has been at the helm for 19 years, said that the UNA band is made up of about 250 members. He estimates about 8 to 10 percent are non-Whites, including a number of Black students. Watts, on the other hand, said that he is indifferent about the band’s name. Still, “Pride of Dixie” has been a topic of discussions for decades. “It’s not an official name, it’s a moniker, a brand that was bestowed upon the band in 1965 by a former band director,” said Alexander. In the 1980s there was some controversy about it and community discussions were held, he said. The subject has come up again in the last year or two, said Alexander, who has been at the university just under two years. Alexander said the Sept. 8 name omission did bring more attention to the debate, but says that he stands by the decision. Now, the controversy seems to be dying down, said Jones and Watts. “It was kind of a fireworks show for 30 minutes and then everyone has gone home,” Watts said. “The kids are tired of talking about it on social media,” Jones added. Cole, who graduated from UNA in 2017, does not recall discussing the name when she was an undergrad. ”The name didn’t really bother me until they made it seem as if it is [offensive],” she said in an email to Diverse. But now, Cole said, she feels the name should be changed. It’s all been a learning experience for Chase Holcombe, a junior and president of the university’s Student Government Association. “From my own upbringing, I personally didn’t have a problem with the word,” said Holcombe, who is from the Florence area and attended the recent meeting about the name. He said that he always thought the term referred to a geographical location, but never realized it was connected to the Civil War. “Before this conversation started, I was ignorant. I was ignorant to the term and how it was perceived by some,” Holcombe said. He’ll make a decision about how he feels about the name debate once he’s heard from others at the university. According to university officials, White students currently make up about 4,826 of the total student population of 6,872. About 916 students are Black and the university has about 250 faculty members. Softley said she believes everyone should take into account what the name means to minorities. Jamie Rogers can be reached at jamie@diverseeducation.com. You can follow her on Twitter @JamieJournals.